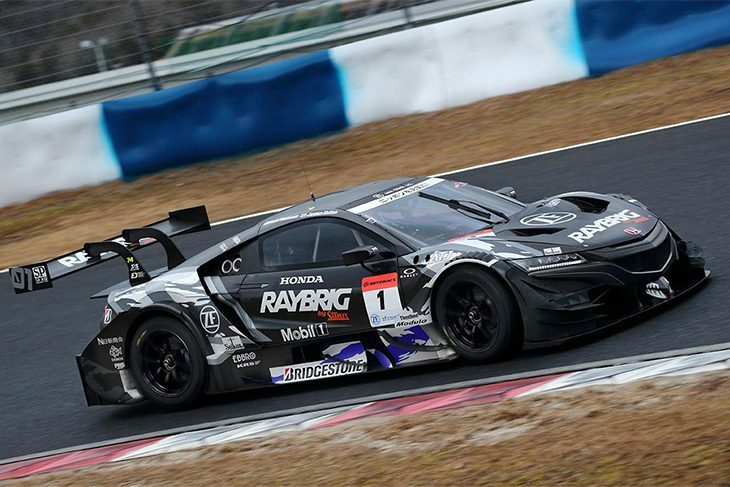 Nine teams gathered for a private tyre test at Okayama International Circuit on 31 January and 1 February. 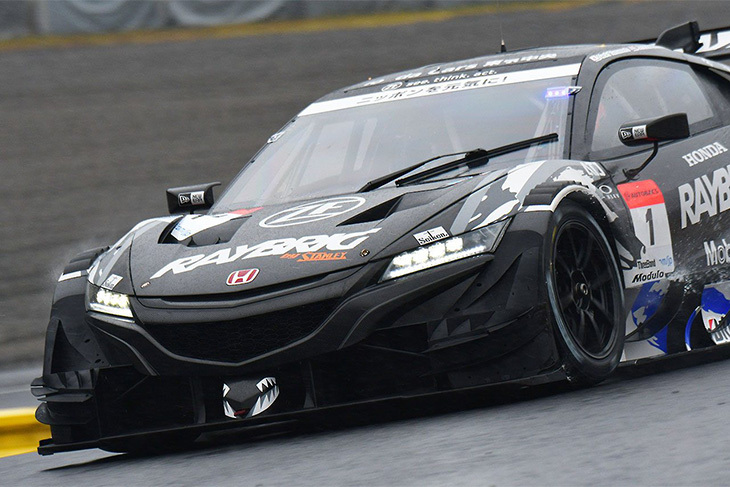 Representing Honda were defending champions Team Kunimitsu (pictured above), with their #1 Raybrig NSX-GT of Naoki Yamamoto & Jenson Button recording a fastest lap time of 1:16.743 on the Friday afternoon test. It’s a lap time that’s 1.383 seconds quicker than the official GT500 lap record around the 3.703-kilometer circuit, set by the Lexus RC F of Ryo Hirakawa way back in 2016. It’s also faster than the unofficial lap record set last year during testing, a 1’17.592 posted by Kazuya Oshima in his Lexus LC500 last February. Autobacs Racing Team Aguri (ARTA) and Keihin Real Racing also represented Honda and Bridgestone at the test. 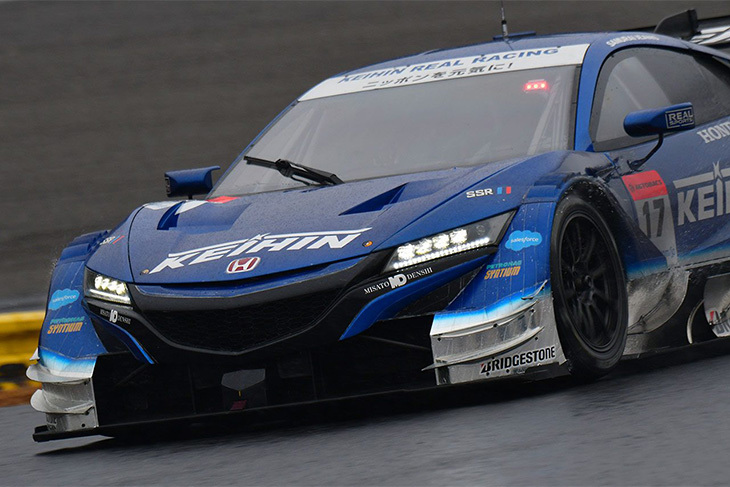 Bertrand Baguette got his first official test with his new team in the #17 Keihin NSX-GT. 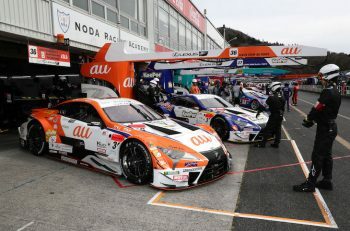 The Lexus GT500 teams and drivers will be announced this coming week on 7 February, and Lexus brought four GT500 cars to the Okayama tyre test representing TOM’s, Cerumo, SARD, and Team LeMans. These same four teams also conducted a private test at Fuji Speedway on 17-18 January. In advance of Toyota and Lexus’ announcements, two changes were already spotted on track. The first being Yuichi Nakayama in the #39 Denso Kobelco SARD LC500 alongside Heikki Kovalainen. Nakayama, a seven-time GT300 race winner with Toyota/Lexus, has been tipped to replace Toyota WEC star and newly-crowned Rolex 24 Hours of Daytona champion, Kamui Kobayashi. Kenta Yamashita was also spotted in the #6 Wako’s 4CR LC500, where he is expected to replace the departing Felix Rosenqvist alongside Kazuya Oshima. Yamashita’s move from Lexus Team WedsSport Bandoh would then allow 23-year-old Toyota Young Driver Programme (TDP) top prospect Sho Tsuboi to move up to the #19 WedsSport Advan LC500 next year, partnering Yuji Kunimoto. 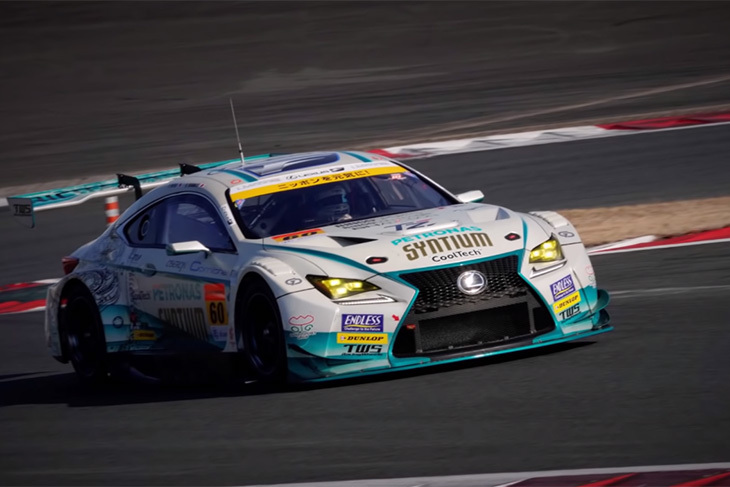 The #60 Syntium LM Corsa Lexus RC F GT3 was first spotted on Dunlop tyres at the Fuji test in January, and the switch from Yokohama to Dunlop is expected to be confirmed this week. Dunlop won two races as a GT300 tyre supplier last year, with Gainer (Nissan) at Buriram, and R&D Sport (Subaru) at Sugo. The driver lineup of Hiroki Yoshimoto and Ritomo Miyata will remain intact from 2018. Yoshimoto and Miyata finished 15th in the GT300 Drivers’ Championship last year, with a best finish of 3rd at Chang International Circuit in Thailand, the first podium for LM Corsa/OTG Motorsport since the switch to Lexus in 2015. The other LM Corsa car, the #96 K-Tunes Racing RC F, was also at the Okayama test. 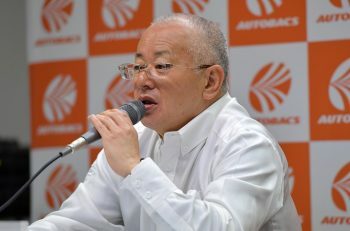 Three-time GT300 champion Morio Nitta is the only confirmed driver, but the unidentified second driver, only known to be a “young driver” did a large portion of the testing over the two days. The leading candidate for the seat is 19-year-old Toyota young driver Kazuto Kotaka, a standout of the FIA F4 Japanese Championship. Kotaka has been racing in the Toyota Racing Series in New Zealand in recent weeks. 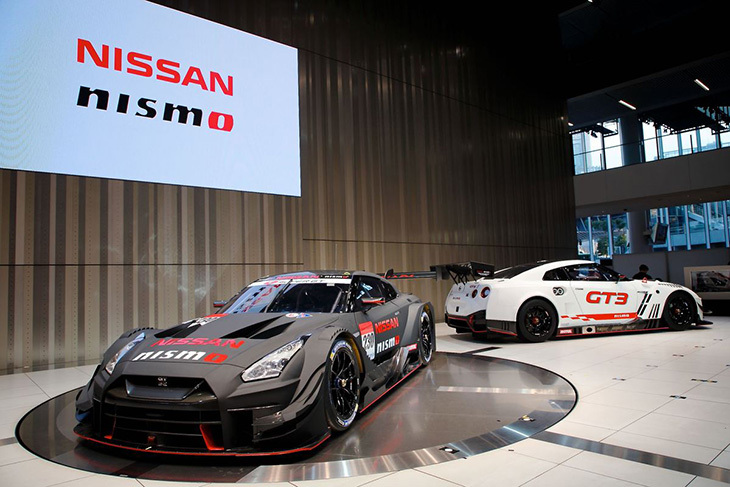 Nissan has confirmed that they will announce their 2019 motorsport activities, including their participation in the Autobacs Super GT Series – on 9 February from the Nissan Gallery at their headquarters in Yokohama. This weekend will see the conclusion to weeks of speculation about a massive overhaul to the Nissan GT500 roster. Tsugio Matsuda and Ronnie Quintarelli at NISMO in the “red car”, two-time Suzuka 1000km champion James Rossiter joining Daiki Sasaki in the “blue car” for Team Impul, Jann Mardenborough moving to Kondo Racing to partner fellow Nissan e.Dams reserve driver Mitsunori Takaboshi, and an all-new lineup at NDDP Racing with B-Max, featuring two-time GT500 Champion Kohei Hirate and reigning Nürburgring 24 Hours winner Frédéric Makowiecki. We will also hopefully know details of an expanded GT300 customer programme, headlined by the addition of a new Nissan GT-R NISMO GT3 for Kondo Racing, and the two cars for top customer team Gainer. 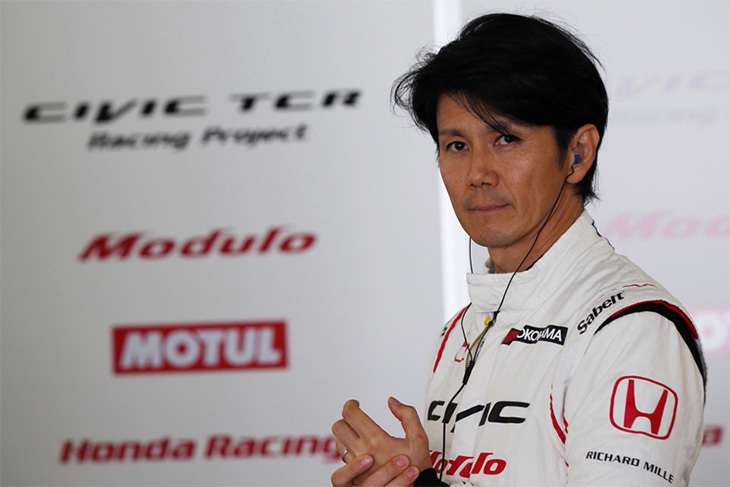 The one loose end from Tokyo Auto Salon was the confirmation of veteran racing driver Shinji Nakano as the new team director at Team Mugen for both their Super GT and Super Formula programmes. Nakano received his F1 debut in 1997 thanks to Mugen and Honda, and 22 years later looks to lead Super GT drivers Hideki Mutoh and Daisuke Nakajima to the podium in his first year as a team boss. He’ll also see a brand-new Super Formula lineup at Mugen, with ARTA GT500 star Tomoki Nojiri, and controversial Red Bull junior Dan Ticktum. Nakano was the ST-TCR class champion in the Pirelli Super Taikyu Series with Dome Racing and their Honda Civic TCR, and he worked with Team Taisan as an advisor and part-time driver. 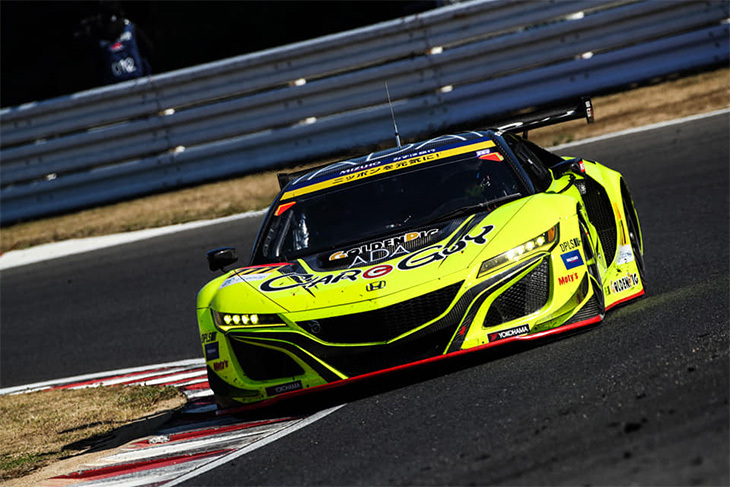 Offsetting the official announcement of McLaren Customer Racing Japan (Team Goh)’s Super GT involvement for 2019 comes the withdrawals of two Super GT teams that raced in 2018. The first is CarGuy Racing, who announced on 31 January they will leave the series in order to focus on securing an entry into and competing at the 24 Hours of Le Mans. 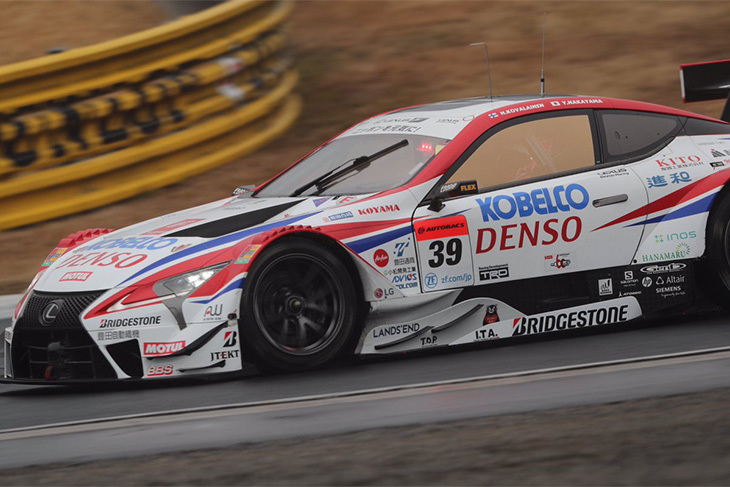 Team owner/driver Takeshi Kimura has said that he would like to return to the series in the future, perhaps, even, as a GT500 team with an all-pro lineup. CarGuy Racing’s final step towards their guaranteed Le Mans entry will be the Asian Le Mans Series 4 Hours of Sepang on 24 February. The week before, EIcars Bentley announced the end of their Super GT participation after two years. Drivers Yuji Ide and Ryohei Sakaguchi finished 12 of the 13 races they competed in from 2017 to 2018, and their best finish together was 13th at the Fuji GT 500 Mile Race this August, where they were joined by Bentley factory racer Jules Gounon. 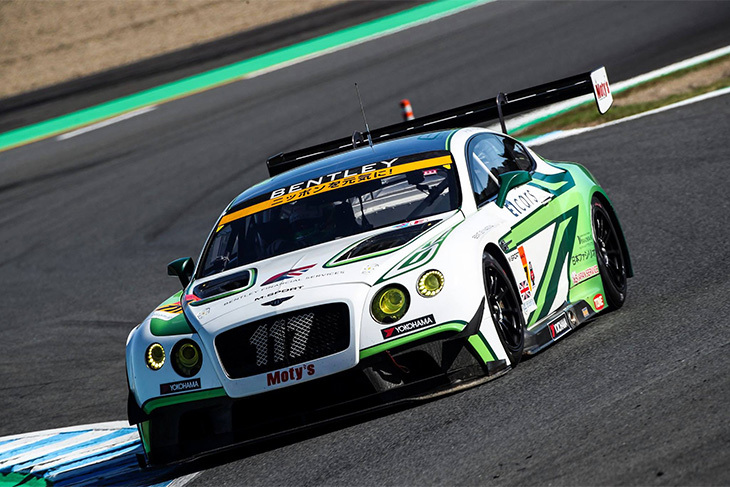 No plans are in place for Bentley to continue in Super GT for 2019, be it with the first-generation Continental GT3, or the second-generation model that debuted last year. The GT300 grid is expected to remain at 29 cars next year: McLaren Customer Racing Japan, Kondo Racing, and Phoenix Racing Asia’s arrivals offsetting the departures of Team Taisan, EIcars Bentley, and CarGuy Racing.